Quality hair care can help slow thinning hair. Thinning hair may seem like an inevitable part of life, but it doesn’t have to be. While you may need a full cap or partial cap hair replacement piece at some point in your life, with the right quality hair care, including sulfate free shampoo, you may be able to slow the process down. This will buy you some time and ensure your hair is as healthy as possible in the meantime. 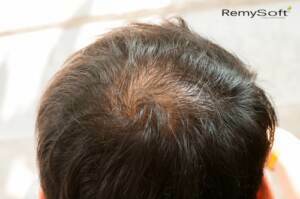 While some men are genetically predisposed to hair loss, a receding hairline may have a number of other causes. If you notice your hair is beginning to thin along the edges, it may be worth a visit to your doctor to determine the root cause. Some of the issues that lead to thinning hair can be resolved medically so you can slow down or even stop the process. Slowing down hair loss all begins with using quality hair care products. 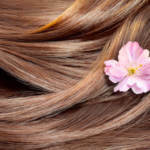 Sulfate free shampoo is an absolute necessity to prevent unwanted buildup and to keep your hair as healthy as possible. Be on the lookout for shampoo that claims to thicken or volumize the hair because this often means harsh ingredients that aren’t good for your hair. This can actually lead to further damage rather than correcting the problem. Sulfate free shampoo can help thicken your hair. 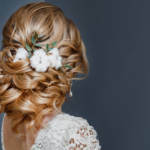 Lighter shades of hair typically allow light to filter through more, which can highlight the fact you have a receding hairline, even if you attempt to cover it up. If this is the case, you can often slow the visible effects of thinning hair by dying your hair just a shade or two darker. However, if you go much darker, you are bound to draw more attention to your hair, along with the fact you may be losing some of it. Eating right can go a long way toward keeping your hair from thinning quickly. If your diet consists primarily of fried foods, cut them out because they increase activity in your oil glands, which can cause damage to your hair and emphasize the thinning hairline. Rigorous towel drying can cause a lot of damage to your hair because wet hair is more susceptible to damage. Excessive blow drying can also cause damage. When possible, it’s best to allow your hair to air dry and comb it through after it has had a chance to dry. Thinning hair may require a full cap or partial cap hair replacement piece someday, but you can slow down the process by taking the right steps. Using quality hair care products, such as a sulfate free shampoo, can ensure your hair is as healthy as possible and reduce the risk of damage. Along with these other tips, you can keep your natural hair for longer so you can enjoy a full head of hair. If you’re looking for quality hair care products, contact us. Our products are formulated to provide the healthiest experience for your hair. Keep Your Head Warm with These Fabulous Winter Hats!